In our new media class last year we were asked to make an App for one of our campaigns. I thought this sounded extremely terrifying, but we all took on the project with a positive attitude. You need to be patient and positive when creating an App because it takes time to familiarize yourself with all the different technological gadgets. No matter how difficult it sounds, I managed to make an App, and I promise that you can too if you follow these steps! Have a clear goal of what experience you want to achieve with the App: Do you want to raise awareness about a certain issue? Solve a problem that the audience have? Create loyalty to your brand? Help the purchasing process? When you have your goal ready, go to http://mobilecp.conduit.com and set up an account for free. Keep in mind that the free App creator site is very basic, but you can purchase a better version that makes more complicated Apps if needed. If you have a website then type in the address where you log in so it will extract important information from your website by itself to make the process easier for you. Under ‘edit’–> ‘content’ you can chose which functions you want to have on your app: may it be social media links, photo albums, contact info, maps with GPS etc. Plot in all your social media platforms under “edit” to keep your App audience up to date with what happens on your other platforms. If you want to have photo albums on your App, then go to the function under ‘edit’ called ‘photos’. There you can chose to synchronize the App with your Facebook albums. You can create an album on your Facebook page, go to the app site and have the album as an own function on your App by plotting in the Facebook URL for your page. Use your company’s logo or create a new logo for the App, and upload it under ‘edit’–> ‘info’. You can also plot in the name of your App here. Keep your App as simple as possible! 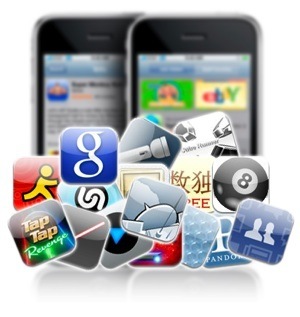 The most popular Apps are usually the simplest ones that have a clear function. Promote your App on your other social media platforms by linking it or uploading a picture of the QR code to get your audience to download it. Then just wait and see if people will use it! You can track how many people who have downloaded it on the conduit site. Good luck! ← How important is the growing trend of using more visuals in PR? The goal of fun is always to enjoy yourself. Thank you for your comment! I recognize that this manual is a very simplified version of the process, but it gives a good starting point for people who wants to try it out. Please don’t hesitate to ask if you have any questions concerning the App website or the different tips! Hi! This blog is free and I use the Bueno Theme. WordPress is a very simple platform to use, so just play around with the different themes and widgets until you find something that suits your blog! I just want to say I’m newbie to blogs and seriously enjoyed this web site. Almost certainly I’m want to bookmark your blog post . You really have tremendous articles. Regards for sharing with us your website page.